After sitting in snail-paced Auckland traffic over a holiday weekend, another hour of driving doesn’t sound too appealing. But when it’s 25 laps of the picturesque Circuit de Spa-Francorchamps at 350 km/h, it’s time well spent. Forza Motorsport 7 is a car game so the objective hasn’t really changed since Gran Turismo arrived on the PlayStation One in 1997, eight years before the first Forza Motorsport on the Xbox. You win races, earn cash, buy more cars and unlock more tracks. They’re not exactly reinventing the wheel in Forza 7, but what they do is make every wheel, hubcap, windscreen and windscreen wiper look as real as it ever has in a motorsport game. The familiarity and simple game objective fits like a driving glove as you know you’re getting a slick presentation where you’ll be at ease to just get in a car and start driving as soon as you enter the game. Some tasks take an hour, or a number of races, while others can be a quirky take like knocking down road cones for three minutes. There are more than 700 cars to choose from and there’s plenty of variety, from a Caddy Limo to Holden Sandman to a Formula E racing car to name just a few. Then there are the “super rare” and “legendary” cars including F1 racing cars, a Lotus Eleven, a McLaren F1 GT and the Ferrari F12tdf. You usually need to be someone like Cristiano Ronaldo to drive the likes of those. And there are 32 tracks, with 200 configurations, including a new fictional Dubai street circuit. The good news for Aussie and Kiwi motorsport fans is that Bathurst returns. The gameplay once again is stunning, even more so with game-maker Turn 10 Studios using photogrammetry, which after gigabytes upon gigabytes of images of tracks, cars and even road cones, produces a clear photo-like view from behind the wheel. 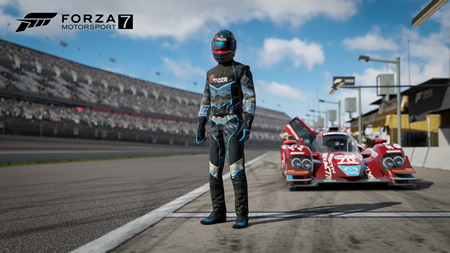 If you want to gain the first-hand information about Forza Motorsport 7 or you want to know how to buy Forza 7 Credits, please follow us and visit our site mmocs.com, which will give you the best service.